Animabot Rev3 – New version, new Specs ! So it’s been a while since I posted something here… I have been really busy on some other projects which made the progress on Anima very difficult… I still continued the development on the current version but the more I worked on it, the more I was thinking that it could be greatly improved ! The version 1 and 2 have already been done, however I’m not completely satisfied with the current version… The body cut in several parts due to print size limitation kind of destroy the overall aesthetic and weaken the body. Then the concept was oriented towards a exploration/security robot and I figured it would be better to design it more like a companion instead ! The concept is still the same and most of the exterior design will remain similar to the Rev2. However, the hardware and mechanical will greatly improve ! The Hardware design is almost finished and the Mechanical design is approximately 60% completed ! so stay tuned for updates ! Hi everybody ! it’s been a while… I have been quite busy the past few months and I didn’t had time to really work on Animabot… But I didn’t not forget him and I’m back in game and I will do my best to get this little beast walking as soon as possible. For the second version of Animabot I want something different. I don’t want to see the motors or the electronic. I also want him more powerful, more intelligent and more friendly ! Why these 2 ones ? 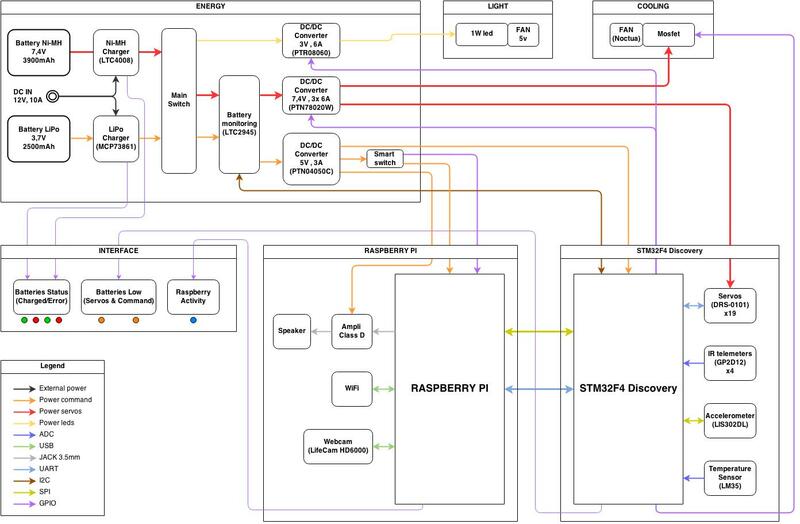 because the Raspberry is powerful, runs on Linux, is cheap and has an huge community. The second one because it has a lot of pins (breakout board) which allows me to connect sensors and also drives all the servomotors. 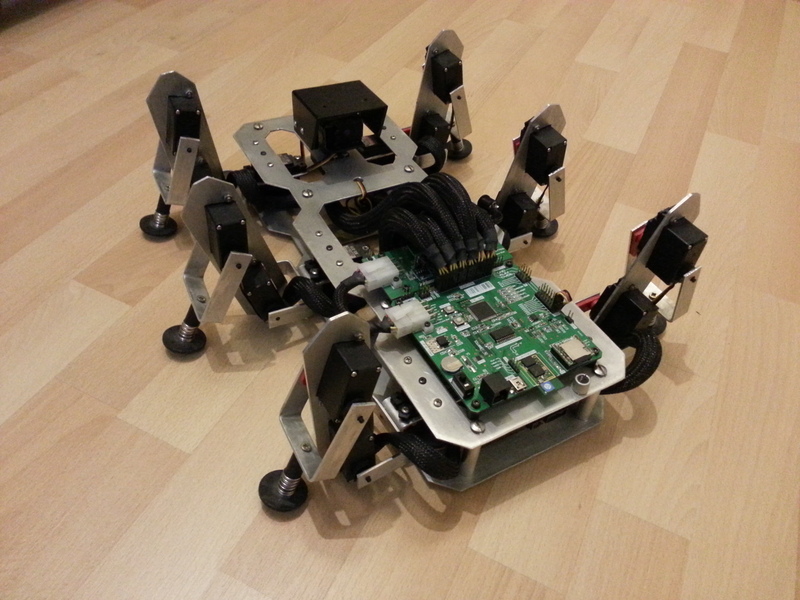 I started the construction of a hexapod robot named Animabot in 2007. This was a child dream since the serie “F/X: The Series” in which one there is small hexapod named Blue. This robot was considered as a dog, and since I also want my own “dog robot”. 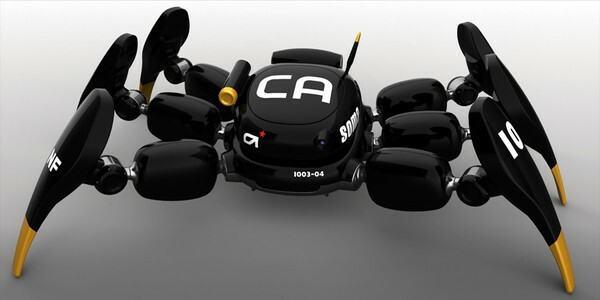 The goal of this project is to have an animated and responsive robot, a robot which can interact with its environment and the people, in the same way as Aibo. Animabot was first made out of Plexiglas and controlled by a BasicStamp 2e. Then I changed the Plexiglas for aluminium and the BasciStamp for a PIC µC. Trough the years, I have made 7 evolution of the board with a PIC 16 then 18 and finally a 32. Animabot is autonomous thanks to a rear sensor and a front sensor mounted on a moving head. He can move in an indoor or outdoor environment avoiding obstacles. He is also able to stabilize itself thanks to an accelerometer. Animabot can be manually controlled by an Android application or a computer software, both done by a Bluetooth communication.